Map of Europe at the time of Charlemagne. With hand-coloured borders. Payment in all currencies via paypal or banktransfer. All maps on this site are guaranteed original and published in the mentioned period. 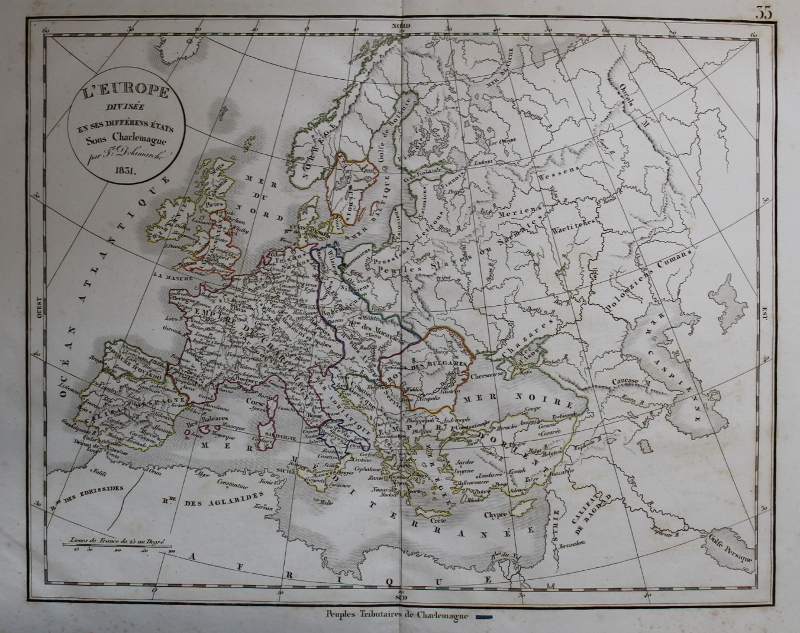 Looking for an antique map, historical print or plan? Feel welcome and browse our mapsite atlasandmap.com! We have maps, made by Félix Delamarche . Please contact us if you don't find where you are looking for! We ship worldwide.